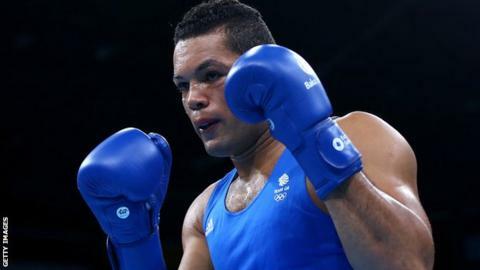 Great Britain's Joe Joyce secured a place in the semi-finals but his three team-mates all suffered defeat at the AIBA World Boxing Championships. Joyce, 30, who won gold at the European Games this year, beat Ali Demirezen of Turkey on points in the 91kg+ division. He faces French fighter Tony Yoka in the semi-finals, an opponent he beat at the European Games earlier this summer. Muhammad Ali lost to Elvin Mamishzade, Joe Cordina lost to Robson Conceicao and Josh Kelly lost to Mohammed Rabii. Joyce is guaranteed at least a bronze medal, but will need to win gold to secure a place at next year's Olympics. British boxers have three further opportunities to reach Rio 2016, at events in April, May and June of next year.